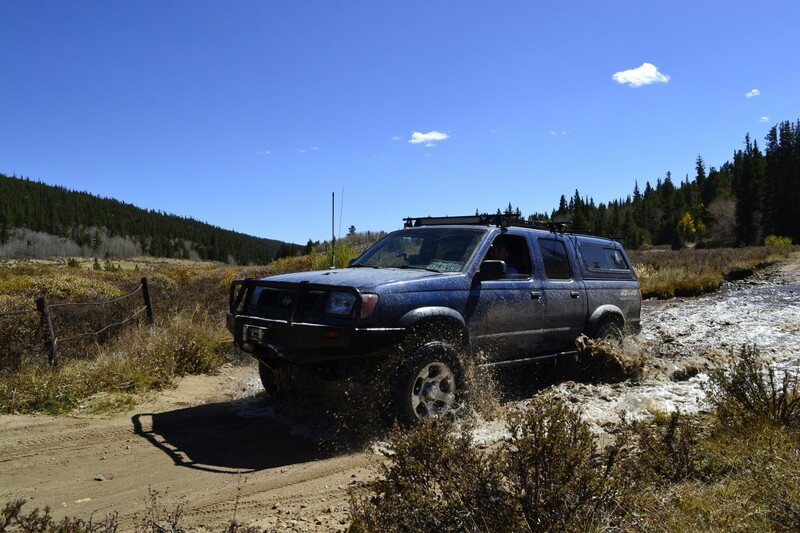 Breakneck Pass and nearby roads are hidden gems among Colorado four-wheel drive roads along the U.S. Highway 285 corridor. Breakneck Pass features easy to moderate climbs and descents, but surprisingly reaches above timberline into a bowl southwest of Sheep Mountain. This stretch provides amazing views in all directions. 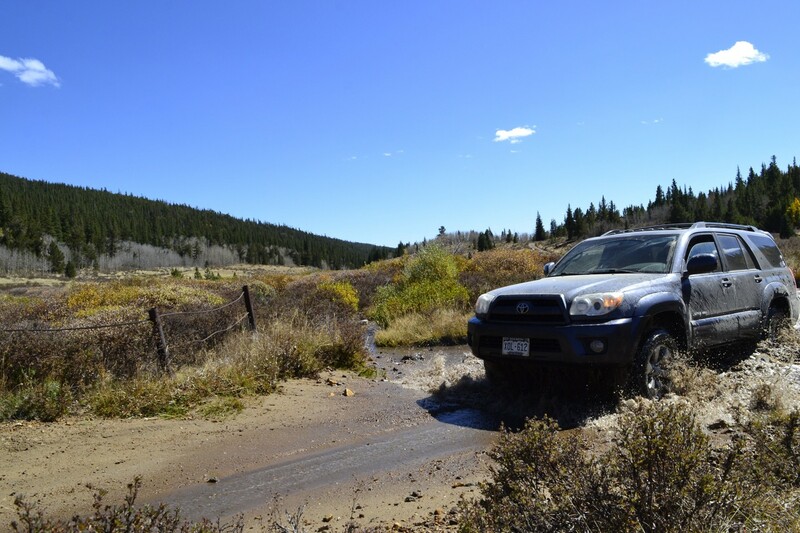 This area of South Park is remote and far less traveled than other passes, making it a desirable destination for weekend overland exploration. Breakneck Pass closes seasonally in December through June 15th. The trailhead is clearly marked with Forest Service signs. There is adequate space here to air-down tires and double-check equipment. Want to see 10 more waypoints? Become an All-Access member! From Denver, take Highway 285 past Fairplay and turn right on Highway 5. Take this easy dirt road for 1.7 miles to signs for Breakneck Pass on the right. From Colorado Springs, take Highway 24 west to Hartsel, then Highway 9 north toward Fairplay. 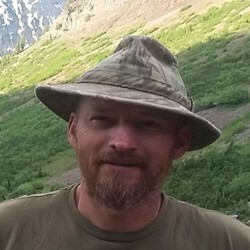 At the intersection with Highway 285 south of Fairplay, turn left for approximately five miles. Turn right on Highway 5 for 1.7 miles to signs for Breakneck Pass on the right. 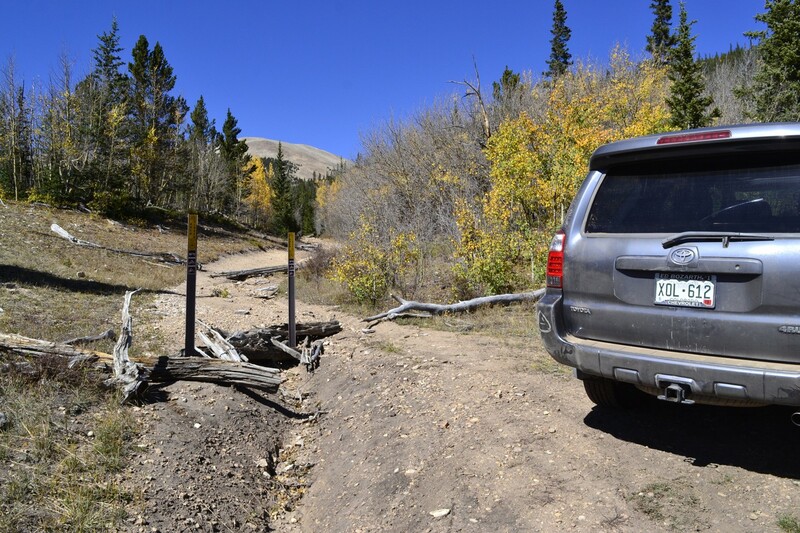 In accordance with USDA Forest Service Order, Number PSICC-2016-15 dated 1 November 2016 , numerous roads and trails are closed for a specified period. Breakneck Pass / FS Road 175 is closed to motor vehicle use, except as indicated, pursuant to the stated order for the period 1 January to 15 June, annually. 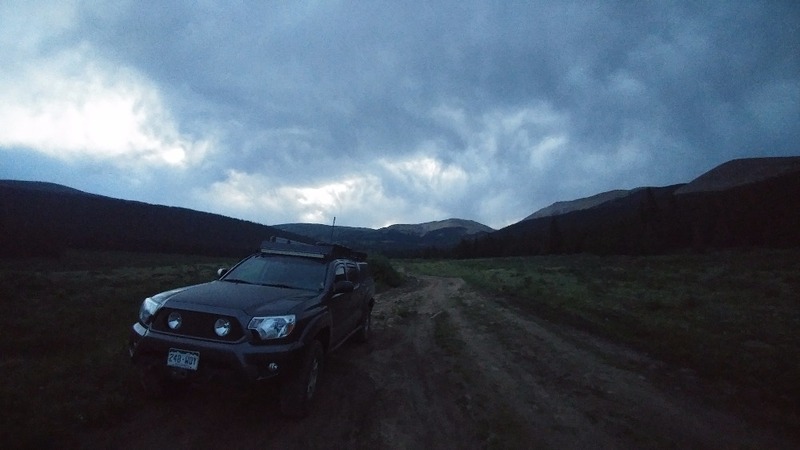 This area is part of Pike-San Isabel National Forest, and as such is part of the 2011 Lawsuit where a coalition of conservation and recreation groups are suing the U.S. Forest Service over what they say is the illegal addition of 500 miles of motorized roads and trails. 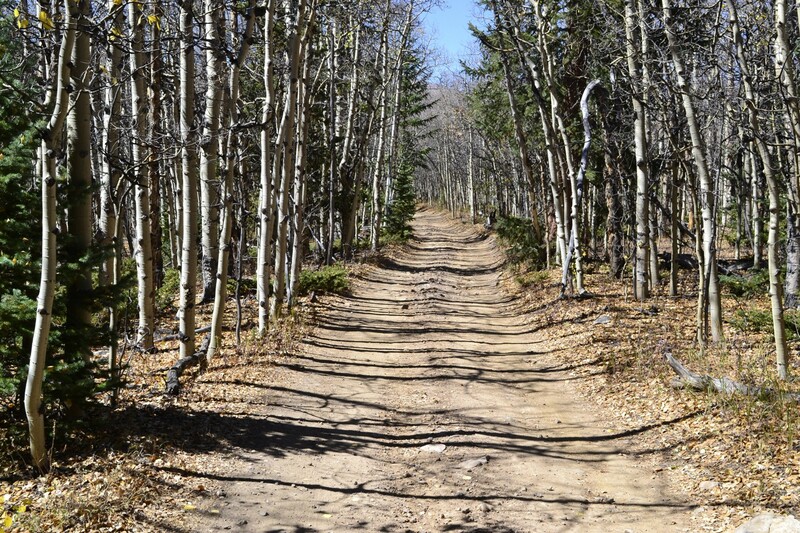 A settlement was reached in late 2015 which requires the U.S. Forest Service to re-evaluate the roads and create a new Travel Management Plan (TMP). Over the next year, some roads may be partially or completely closed while this evaluation proceeds. The TMP process is scheduled over the next 5 years. We ran Breakneck in conjunction with Brown's Pass. It took us about 1 hour to reach the top. We did about 3/4 of the trail in 2wd. The trail is well maintained. 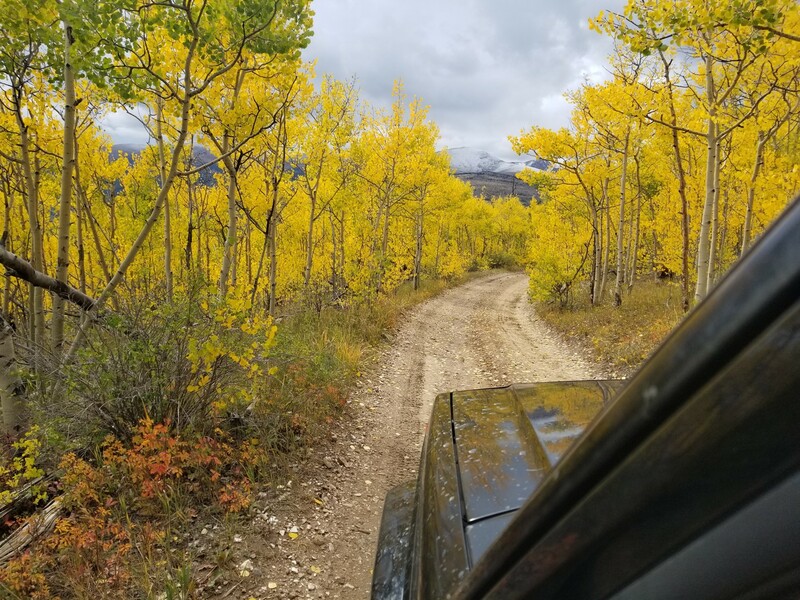 There are some sections of trail that are much too narrow for passing other vehicles, so keep and eye out for those places to turn-out, in case you need to back up. The trail is now closed shortly after WP 10 on the map. NOTE: There are multiple other off-shoot roads that branch off of Breakneck. Some of these connect to other trails, while others are just out-and-back types. Check them out as there are several that are quite fun. was open until about 6 miles in. about a half-mile past 176 it's closed for revegetation. lots of fun puddles and colors are changing already so lots of yellow Aspens. beautiful drive. at 5.5 miles or so just take 176 up Browns pass. I had to use 4 low but no problem with my stock XJ. Tons of mud puddles because of all the recent rain, but it made the dirt pitch before Browns pass a little more interesting!!!! Glad I had the option of going out 176, would have been sketchy going down in the mud. The section to 12 was like being on a really cool ride with all the puddles! I took a quick run up the trail to find a camp spot. The trail is clear all the way through and i looped it with Browns Pass which is also clear. There is no snow on either of the trails and both are very dry and dusty.